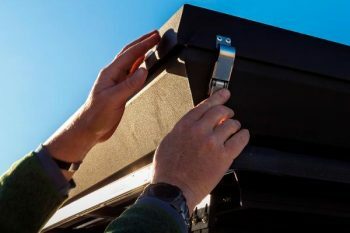 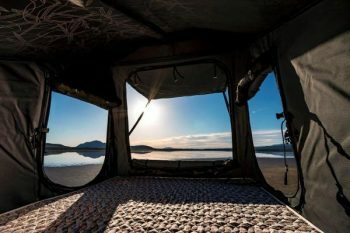 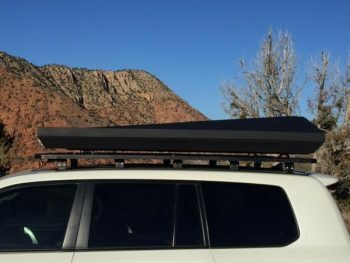 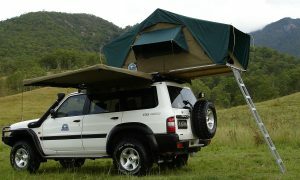 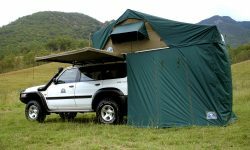 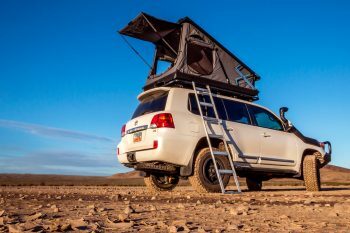 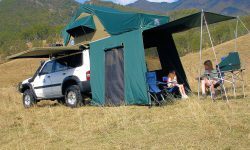 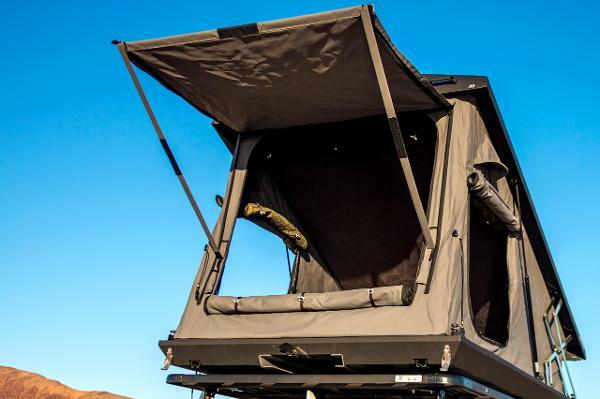 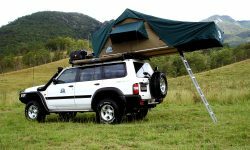 The Eezi-Awn Stealth Hard Shell Aluminium Roof Top Tent. 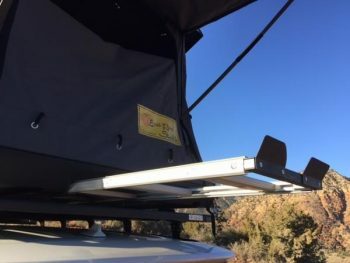 Comes with insulated floor and roof panels, durable rip-stop canvas sides and unique scissor action opening. The Eezi-Awn Stealth Hard Shell Aluminium Roof Top Tent. 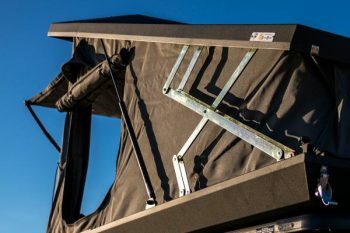 Comes with insulated floor and roof panels, durable rip-stop canvas sides and unique scissor action opening. 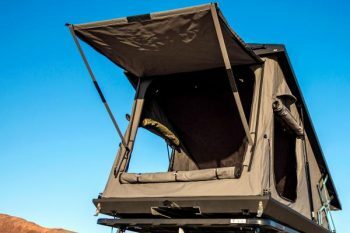 The roomy 1.5m width allows for a 90mm built-in full size quilted mattress and there’s space for extra bedding in the elevated rear roof section. The ladder also slides into a specially made independent slot at the bottom of the whole unit, keeping it out of the main sleeping quarters.